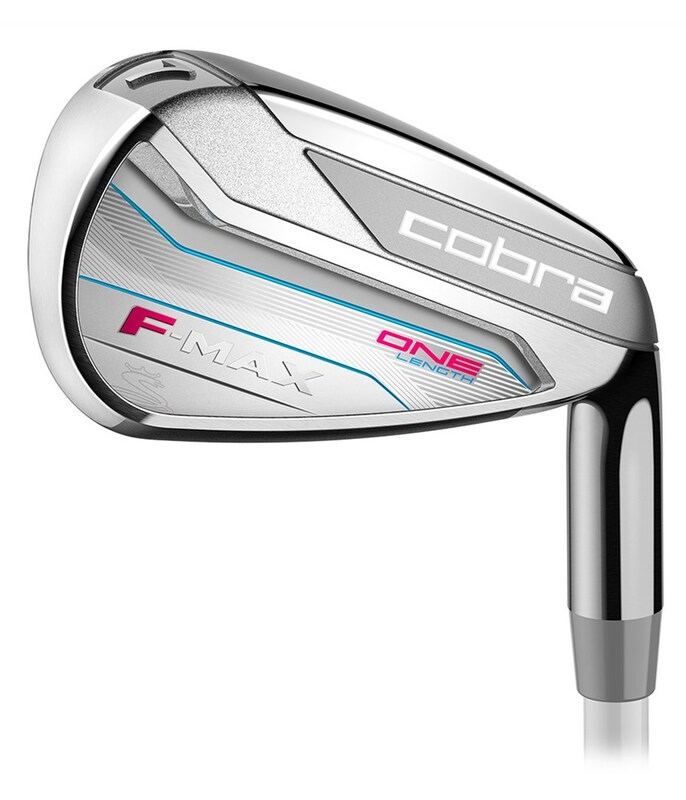 Whether you are seasoned golfer or looking to improve that technology in the Cobra ladies F Max One Length irons will benefit you and your golf. For many of us, especially mid-high handicap golfers our go to and favourite club in the bag is the 7 iron so Cobra have created a full set of irons based on the length of the 7 iron. The idea behind it is so simple and effective: ONE SETUP, ONE SWING for every club in the bag. Whether you are hitting your 6, 7 or PW with the One Length irons your ball position and swing replicates the ball position and swing you would use for a 7 iron. It is only the lofts of the clubs that will give you an amazing distance gap between each club. 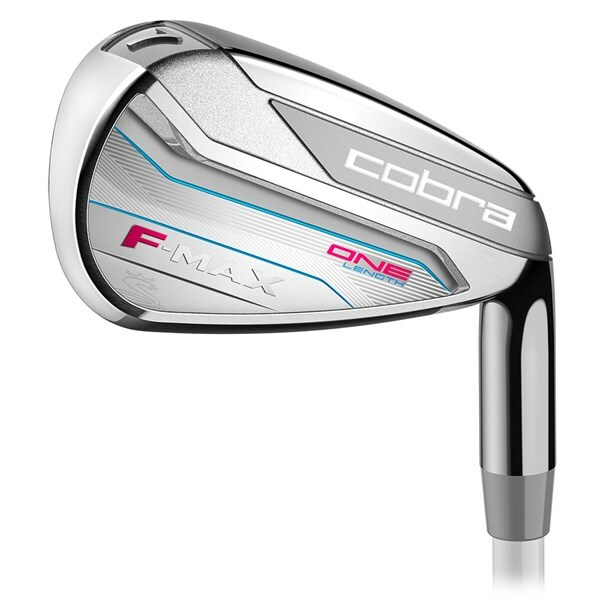 To give you the ultimate performance through the whole set Cobra have used a low back CG location in the heads of the irons, an offset design and given the irons a more traditional weaker loft that will lead to an incredible forgiving, straight flight. A large undercut cavity design on the oversize head produces bigger sweetspot for increased forgiveness and accuracy control. 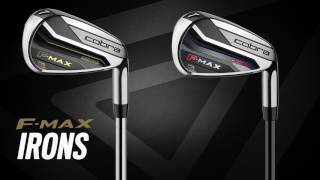 Cobra have used two metals to produce this incredible looking set of irons, the long to mid irons (3-7) features a 17-4 stainless steel construction to maximise distance and make launch easier, the shorter irons (8-SW) have a 431 stainless steel construction to provide excellent feel and distance control. To provide that easy-to-swing feel Cobra have fitted the brilliant lightweight graphite shaft and Lamkin mens grips as standard.